Jewish groups blast Marc Lamont Hill who said at UN that violence against Israel is legitimate and called for a boycott of the Jewish state. 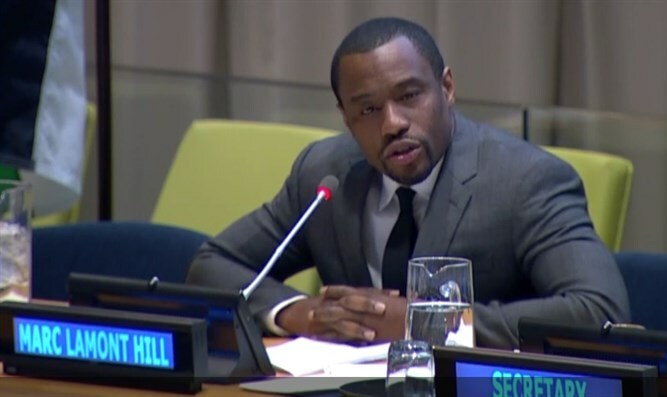 Jewish groups on Wednesday were outraged over comments by CNN commentator and Temple University professor Marc Lamont Hill, who said at the UN that violence against Israel is legitimate. “The virulent anti-Semitism spewed by Marc Lamont Hill is abhorrent, and his senseless promotion of violence against Israel is repugnant,” said NCYI. Sharon Nazarian, the Anti-Defamation League’s (ADL) senior vice president for international affairs, condemned Hill’s remarks as well.